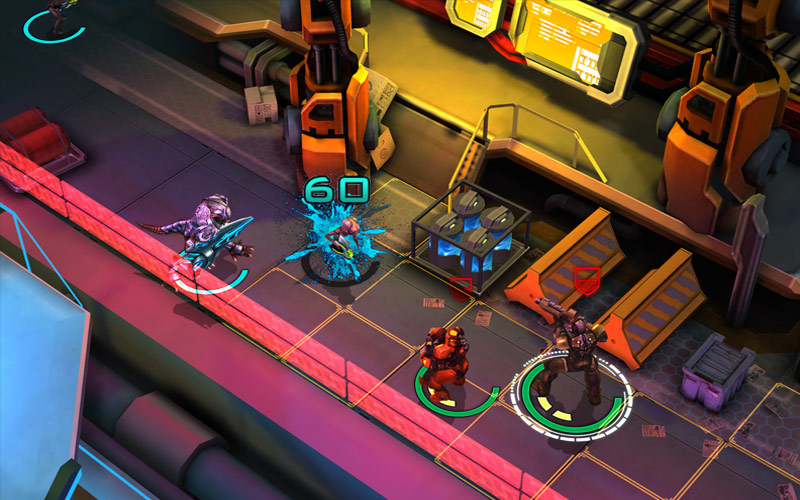 X-Mercs: Invasion is a turn-based strategy game, where players become the head of their own military corporation. The objective is to repel an invasion, raise a modern military base, study alien technologies to find out the motives of the invaders and learn to create the deadliest weapons. 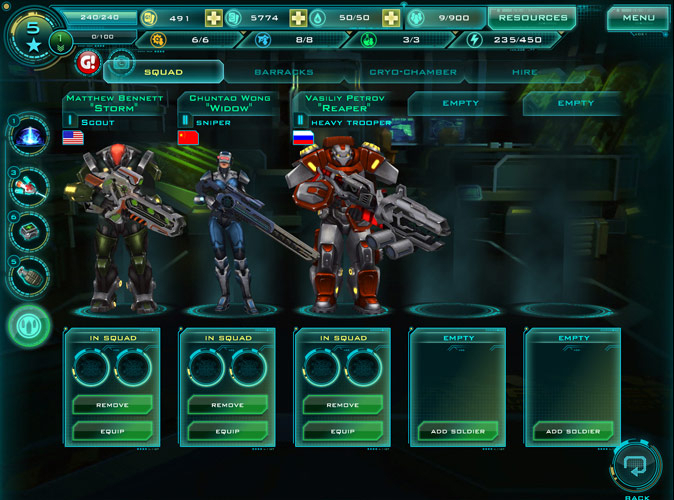 Extensive Single-Player Campaign: X-Mercs features a long single-player campaign, wherein players build up their forces and their corporation through the hiring and training of professional soldiers. Expanding a base, researching tech, and creating the perfect squad while repelling alien invaders is the goal. Multiplayer Matches: Individual commanders are able to pit their squads against one another in multiplayer matches, engaging in thoughtful, turn-based competition in which cooler heads prevail and strategic thinking wins out over reactionary decisions. 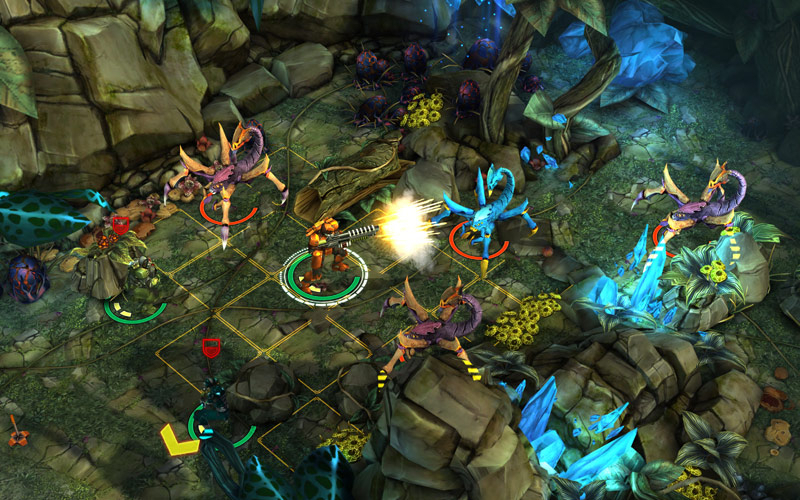 Turn-Based Combat: The combat is turn-based, but full of complex mechanics and varied terrain. 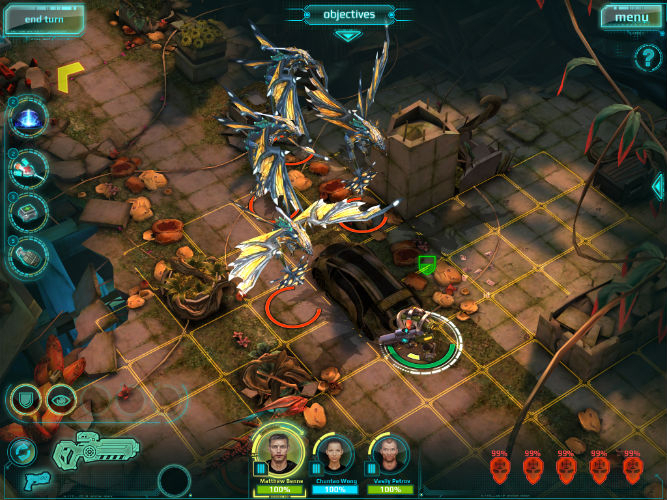 Various challenging enemy types make for a unique challenge every mission. 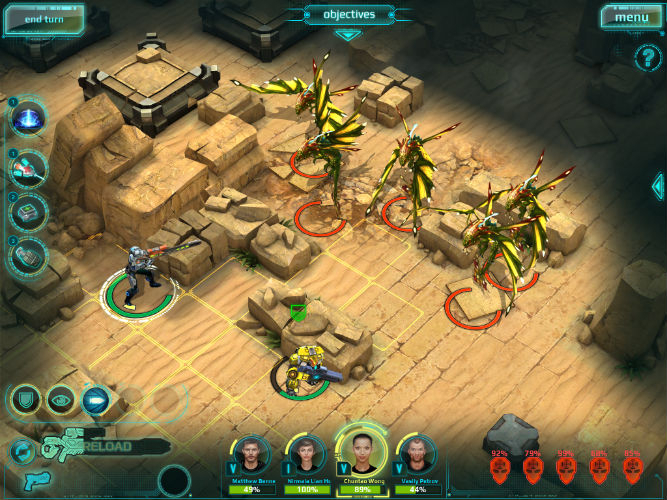 Arranging squad synergies and understanding fields of fire are integral to securing victory. Rock out with X-Mercs: Invasion. 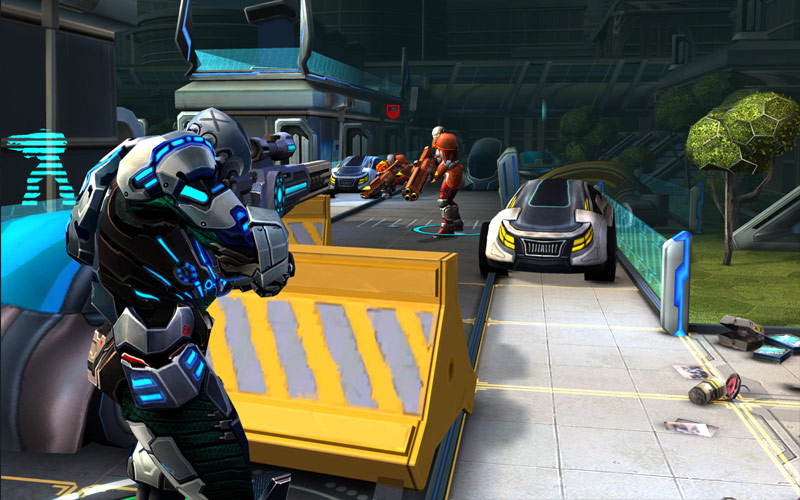 X-Mercs: Invasion is set to bring new levels of tactics to mobile devices.